Sears Key Shop in Akron has moved but still at the Chapel Hill Mall! Sears in Akron, OH at The Chapel Hill Mall has closed and so has the little key shop in the outside parking lot. Good news is the Key Shop is moving around the corner and will still be at the Mall just not at Sears. The Sears Key Shop is owned and operated by The Keyless Shop, the Automotive Locksmith Akron trusts. The key shop has now re-opened in October of 2017 and is open for business Come see us by the food court side of the Mall next to The Shoe Dept. Encore store. 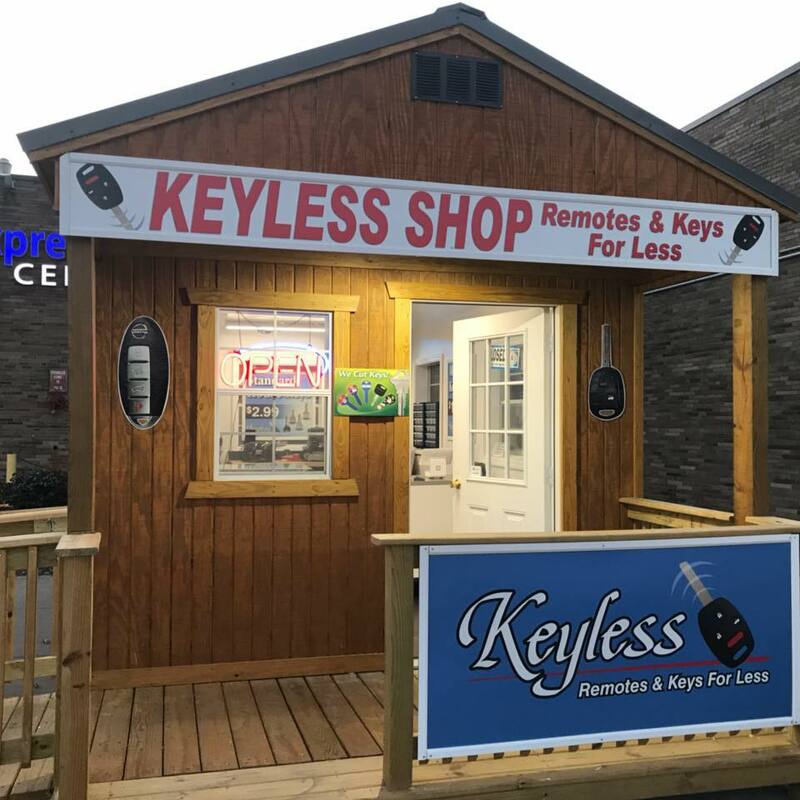 Come visit our cute little key shop right next to Shoe Encore store at Chapel Hill Ma.. We look forward to continue serving the Akron community for all their house key and car key needs. Car keys and car remotes is our speciality and that is why The Keyless Shop at Chapel Hill Mall is the automotive locksmith Akron trusts. Give us a call today for a quote at 330-915-4944 or come visit us at The Chapel Hill Mall in Akron, Ohio. Our new address is 1980 Brittain Rd, Akron, OH 44310. We look forward to serving you for all your locksmith needs. We carry over 600 different house keys, office keys and car keys. The Keyless Shop at Sears Akron now moved but still at The Chapel Hill Mall. The automotive locksmiths Akron trusts. The Keyless Shop at The Chapel Hill Mall - New Location! House Lockout Service starts at $75.